Seeds of Turmoil clearly explains the biblical story of Abraham, Sarah, and Hagar and the ensuing sibling rivalry between Jacob and Esau, whose choices formed the world’s three most influential religions: Judaism, Christianity, and Islam. 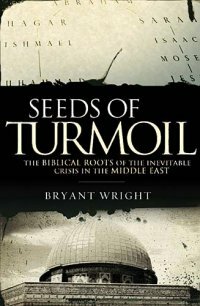 Bryant Wright also explains the conflicts between Jewish, Christian, and Islamic perspectives and answers the question, Does God play favorites? I gained new insights on the religions of Judaism, Christianity, and Islam. But I would have a hard time recommending this book to others. One of the reasons for this is that it’s not a topic I am interested in. But would recommend this book to others who want to understand the above three religions more. By looking into history we can learn a lot about how to live better. If you are wanting a better understanding of Judaism, Christianity, and Islam then you should read this book. This book has a good balance between Biblical perspectives and the authors own thoughts.